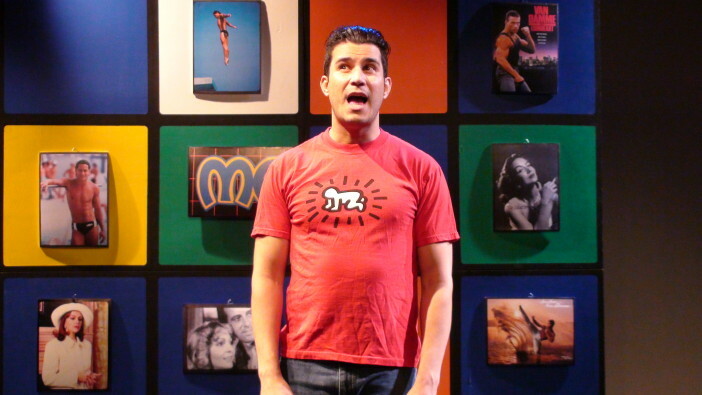 Eduardo Leáñez, shown at right, in character, was interviewed with co-writer Patrick E. Horrigan in Bensonhurst Bean blog, where he spoke about his solo show You Are Confused! (written by Leáñez and Horrigan and directed by Rosalie Purvis), currently running in June at the Henry Warren Theater, located in the Bath Beach section of Brooklyn. To read the interview, click here. Blanca Camacho has been busy as of late. She reports ADR/looping work for Season 2 of "The Knick" (Cinemax) and the new miniseries "Show Me A Hero" (HBO), as well as voice work on the films Genius (directed by Michael Grandage), American Ultra (directed by Nima Nourizadeh), and Daughter of God (directed by Gee Malik Linton). Her Snapple commercial with Cat Greenleaf (host of the national syndicated talk show "Talk Stoop") is currently airing. Jacqueline Pereda and Solanyi Rodríguez acted in an episode of "The Perfect Murder" (Investigation Discovery). 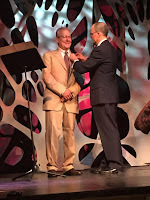 HOLA Executive Board President Manolo García Oliva, pictured left, in the photo at left with Consul General for Cultural Affairs Juan José Herrera de la Muela, received the Officer's Cross of the Royal Order of Isabella the Catholic from the Cónsul General de España en Nueva York (on behalf of Spain's King Felipe VI) in a ceremony which took place on Wednesday, June 17, 2015 at Repertorio Español (located in Manhattan's Rose Hill neighborhood). García Oliva received the civil order of merit due to his tireless efforts of promoting Latin American and Hispanic arts and culture. As part of the ceremony, an excerpt of the Pedro Calderón de la Barca zarzuela El laurel de Apolo was presented. Directed by Estefanía Fadul (with original music by Marios Aristopoulos and choreography by Nikol Peterman), the presentation featured cast members Venuz Delmar, Gerardo Gudiño, Inma Heredia and Franco Yáñez.